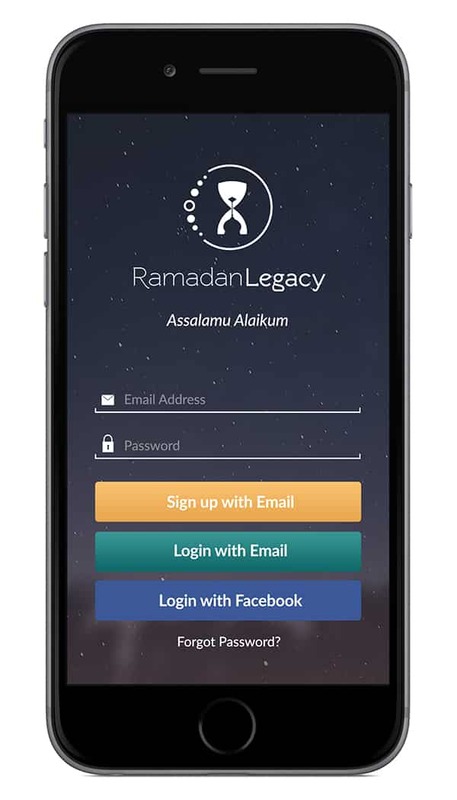 The Ramadan Legacy app is the world’s first fully-featured Ramadan app that provides a daily step-by-step guide and action plan for Ramadan, a live stream of Ramadan experiences around the world and the ability to journal your daily experience and motivate your friends through sending positive notifications. 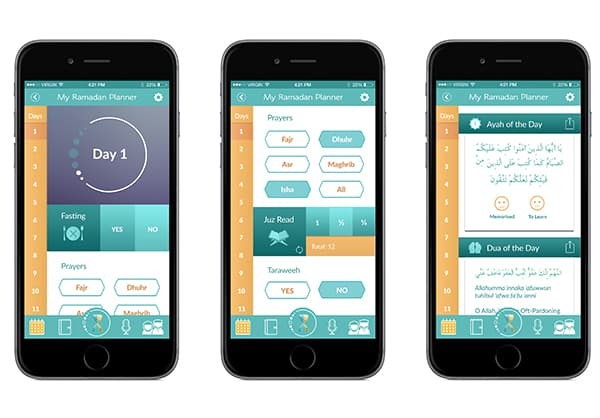 The app aims to enhance your experience of Ramadan through combining smart technology and beautiful design with spirituality and learning, all to help you organize your worship to make Ramadan easy and enjoyable. I was excited to be given the opportunity to take it out on a test run so here is the journey through the app! The app opens with a beautiful welcome message and dua and an overview of what the app offers. I totally love this! Immediately my attention is grabbed by the heartfelt dua, and from the get-go I can tell that this app is going to have a sleek, elegant design and is of high quality. A thumbs up already! The tutorial screens have appropriate background images, which help you visually identify and connect with what the app is all about, and the main features contained within it. 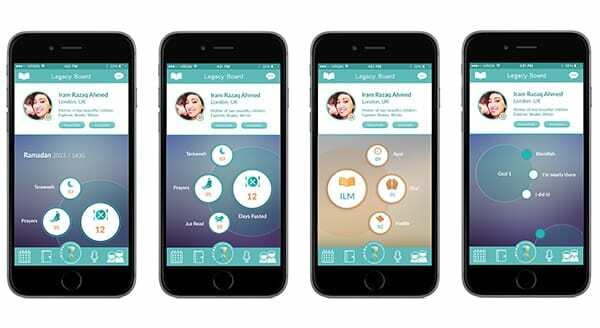 With features such as the interactive action plan, a knowledge library, journal, a live stream of reflections and the Ramadan Legacy board, I’m already excited to use the app at this point! Next, the app prompts you to create an account. Usually we think, “Oh no! Another account…” but the process here looks very simple and inviting. With email and Facebook sign-up options, the process is made a lot easier. The reason for creating an account with the app is, of course, to allow you to return every year and continue your wonderful journey and build your Ramadan Legacy over time, all while being able to see exactly how you performed and felt the year before. 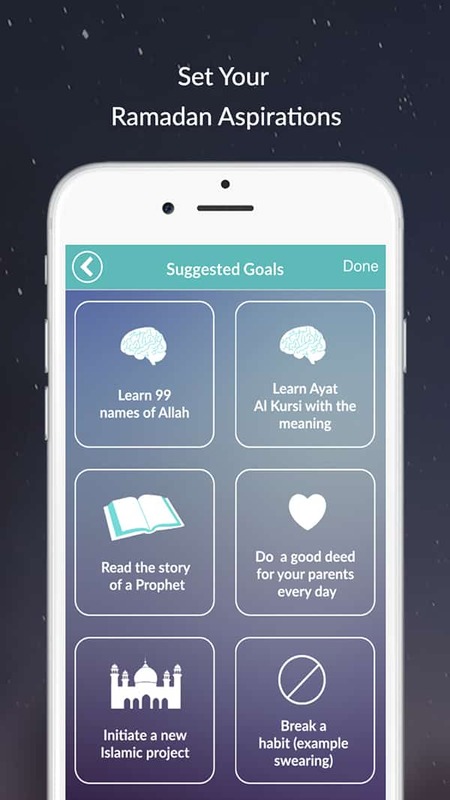 I’ve never had to do this with any other Islamic app – I’m intrigued! I also like the fact that you can create your own Ramadan Legacy profile with your unique username, a picture and your location. A quick swipe from the left of the screen brings up a menu from which you can edit these details later. OK, now this is cool! Before getting into the nitty-gritty of the app and its features, it prompts you to set your personal goals and aspirations at the end of the sign-up process. We always learn that for Ramadan to be successful, you must have set goals for the month and work towards them. I love the fact that not only does this app encourage you to do so, but actually provides you with a mini-library of suggested goals in case you can’t think of your own. For example you can choose to memorize the 99 names of Allah , to learn a surah or quit a bad habit. You’re allowed to set a maximum of 3 goals, which to be honest, I think is pretty realistic. These goals then remain on your legacy board throughout the whole month, so they’re constantly looking at you saying “Hey, don’t forget to work on me!” A nice little touch. So far so good Alhumdulillah. After completing the sign up process, the first screen that appears is your very own personal Ramadan Legacy board. Unlike anything I’ve seen before, this screen is the central point of the app, which displays and continuously updates your Ramadan progress. In a beautiful and creative way, I can see my worshipping statistics for how much I’ve prayed, how much Qur’an I’ve read, how many verses of the Qur’an, duas or hadiths I’ve memorized from the planner, and the goals I set from the previous screen are here too with “Bismillah”, “I’m nearly there” and “I did it!” buttons to track my progress. So cool! I have to say, the wording here is very fun and interactive. The fact that I can see my profile at the top of the screen makes it feel like my own personal Ramadan home. A great, dynamic layout however it would have been great to have an explanation of this screen pop up in the app, as not everybody may get the idea straight away. 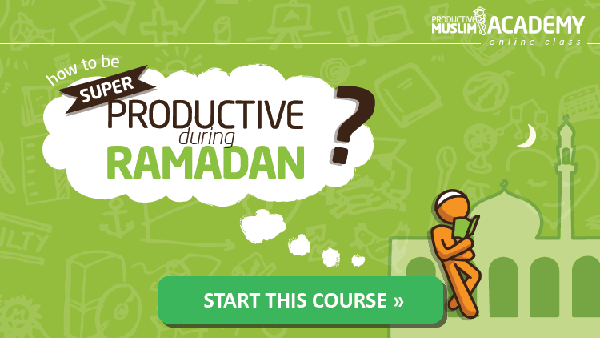 This section of the app is your 30-day Ramadan action plan for the blessed month. It sets out a set structure for each day and allows you to record your Ramadan worshipping activities. The daily plan is split into two set sections. The first section is where you record your obligatory acts of worship such as praying, fasting, reading Qur’an and night prayers; the second section provides ayahs, duas and ahadith for you to learn each and every day. As you click and track your progress each day, the results are instantaneously updated in your Legacy Board. If you accidentally click more than you should have, you can easily undo this and your stats from the Legacy Board will catch up. The layout is really simple – anybody can use this! I also noticed that there is an option to share the ayah, dua or hadith of the day online – a nice little feature. I would say however, that I’d like to have had the option to zoom in and out to better see the Arabic text as it can get a bit tricky to read at times. Also, this section is not customizable and doesn’t give you the option to create your own 30-day plan. This can be good or bad, depending on how much control you wish to have. For people who are looking for something to be perfectly laid out for them that’s easy to complete and follow (like me! ), then the 30-day plan is very well structured and provides a powerful framework with enough to be done every single day in Ramadan. 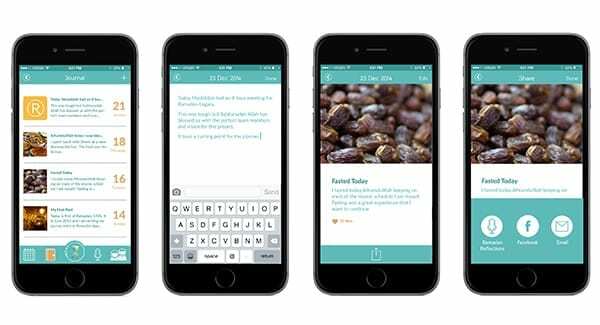 Adding to the list of cool features is your very own Ramadan Journal. I know what you’re thinking, “I’m not the type of person to keep a journal”, right? Regardless, I think this feature is awesome and you never know you may end up using it a lot! For those who love writing down their personal thoughts or keeping a diary, they’re going to totally love this. It’s very neatly laid out and gives you the option do add pictures and text, and also to share your journal entry both online or directly into the Ramadan Reflections live stream. This feature adds to the “legacy” concept, giving you the option to look back at your thoughts and feelings during Ramadan in years to come. Personally, if I felt a huge Iman boost during one Ramadan and I recorded my experience, it would come in very handy during times when I needed it most. 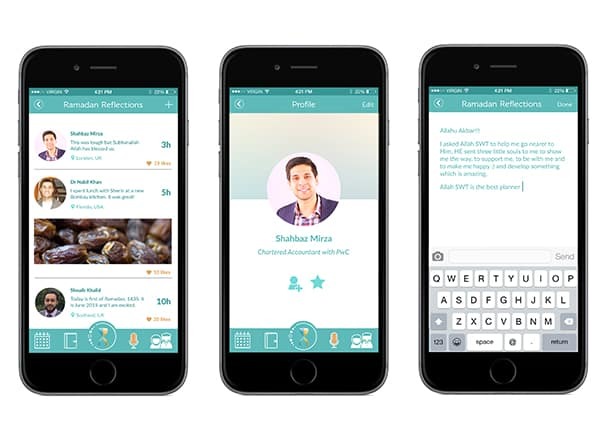 Just when you thought the app was enough, then comes the Ramadan Reflections feature. Coming across this part of the app really excited me. It’s a live stream of all the Ramadan Legacy users within the app from around the world, sharing their reflections, inspirational quotes and much more throughout the blessed month. You can see posts by Muslims from Columbia, to France, to Singapore and all over the world. I think this is really wonderful, to be able to experience Ramadan with the biggest family in the world – the Muslim ummah. We all have days in Ramadan when we feel demotivated, down or tired, but a quick scroll through this stream can be a great pick-me-up when you see motivational posts from your fellow brothers and sisters. Although the feature is quite cool, the interface could be smoother and more twitter-like. You’re only able to post one reflection a day, which can be off-putting for some. However, I think the Ramadan Legacy team wanted the users to focus more on worship than spending hours interacting with others. 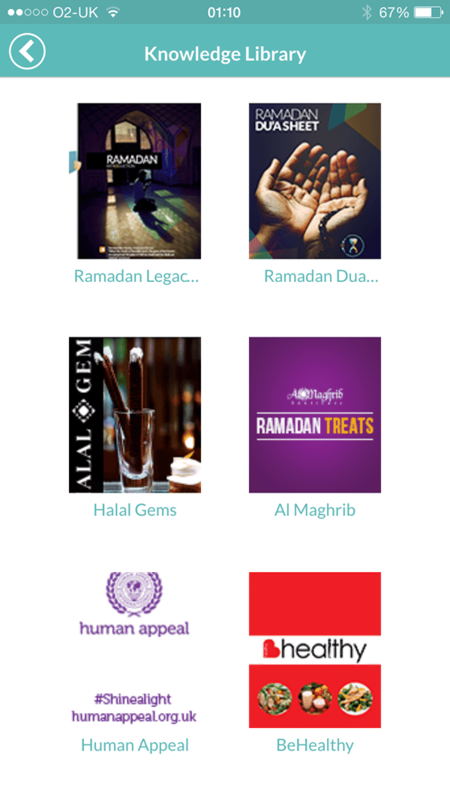 By clicking on the little book icon on the Ramadan Legacy Board, you’re able to access the Knowledge Library. Another wonderful addition to the app making it not only a productivity tool, but also a portal for learning. It hosts a range of educational and interesting books to read throughout Ramadan by some well-known brands. Topics range from Ramadan introductions, how to pay your zakat, Ramadan duas, Ramadan recipes and more. There’s something for everyone, and the topics are important and relate nicely to Ramadan. I find this section of the app quite useful as it means I can learn and be inspired while on-the-go, during my downtime or whenever I have spare time. It’s important to note that the content is not very heavy, which makes for a much more enjoyable read to the average Muslim. Personally, I would like to see this section include videos and audio as well as books in the future, as reading is not always possible whilst on the move and not everyone’s cup of tea! I must say, the app had me at “Assalamu ‘Alaikum’. Many other apps focus solely on the functionality but fail to provide that authentic, personal touch that makes the user’s experience that much better. This is important for me and I think will be what wins over many users. It clearly has been well thought out and put together with specific goals in mind for the end user. It’s different, but still very useful. It takes a different route from the typical Islamic app and makes an effort to provide a solution to the other needs we have as Muslims – I like that. One point to mention is that I don’t think every Muslim out there is a very “appy” person, and so this app may not be everyone’s cup of chai. Nevertheless, I do think that the simplicity of the app turns it from a complicated gadget into a really enjoyable tool for even the least tech-minded of us – and yes, that means the aunties and uncles too! The team anticipated this however, and I’m so glad they have created a downloadable print-ready planner for those who still love pen and paper and don’t want to miss out on the experience. This is especially great for families to get the kids involved too. 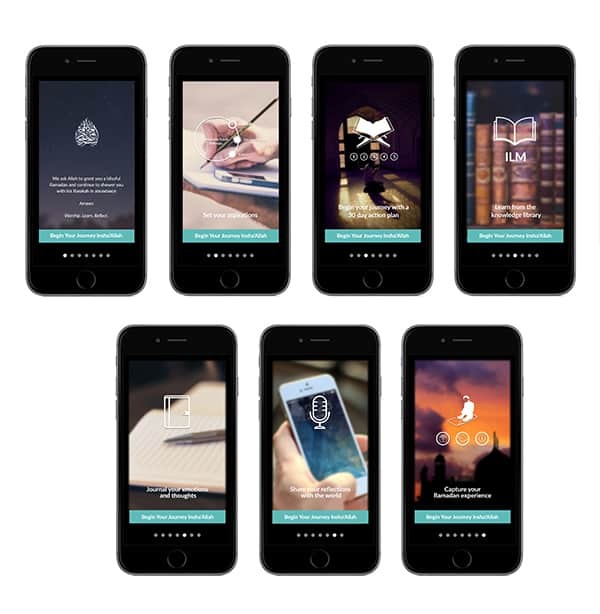 Design wise, the app blows many others out of the park with its consistent branding, quality imagery and sleek controls. The layout of the various screens makes the experience easy, enjoyable and stress free – exactly what we need during the long fasting hours. Being a hybrid app, it still looks great on both Android and Apple devices but lacks that completely flawless smooth feeling. Perhaps creating a native app for iOS and Android can help smooth out any rough edges next year. Overall, an absolutely epic first app and I will most definitely look forward to see what’s in store (both stores!) next year. Have you given Ramadan Legacy a try too? Share your thoughts with us in a comment below! Oz Usman Majid is a business graduate with a degree in Marketing. He loves using his marketing and media skills to take fresh, innovative Islamic initiatives to fruitful heights, and has in recent years involved himself in a number of exciting projects to do just that.